Sleeping evading you? Here are snacks that help. Do you battle to fall asleep at night? Has it gotten to the point where you are seriously considering asking your physician for a prescription for sleeping pills to ensure that you get some shuteye? Before you do so, there are a few less drastic options you can try. 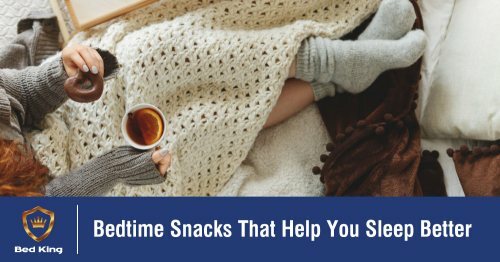 For instance, there are certain foods you can include in your evening meal or snack that have been shown to promote restful sleep. Walnuts contain tryptophan, an amino acid that is associated with the production of serotonin and melatonin in the brain. These two hormones are closely tied to the functioning of the body clock that governs your sleep-wake cycle. Almonds, on the other hand, are chock full of magnesium, which is something your body requires for optimal brain function, including those that underpin your circadian rhythm. If your magnesium levels are low, you will find that you battle to stay asleep - so stock up on almonds. TOP TIP: Keen on a daytime nap? Snack on crackers and hummus for lunch - chickpeas also a wonderful source of tryptophan. Carb-rich foods like pretzels, crackers and white rice (particularly jasmine rice) cause a natural spike in your blood sugar and insulin levels, which in turn helps tryptophan to enter your brain to induce sleep. During daytime, it is advised to avoid these foods so you won't have mood swings due to unstable blood sugar, but if you battle to fall asleep at night a small amount of carb-y goodness may be just what the doctor ordered. TOP TIP: Cereal with milk also works in a charm. In this case, you are combining a high-glycemic food with calcium, which is also known to promote zzz’s. Camomile tea has been used as a calming draught for centuries. This claim was recently backed up by some serious science when a study found that a compound in the tea increases the level of glycine (which relaxes muscles and acts like a mild sedative) in the body. Honey, on the other hand, raises your insulin levels slightly, which again helps tryptophan to do its job. These are a few of the foods that will promote restful sleep when incorporated in a balanced diet and healthy lifestyle. Keep an eye on the blog in coming weeks and months as we share more expert advice on this subject. In the meantime, we would like to invite you to take part in our #SleepRevolution. Sign up for the Bed King Sleep Challenge to stand a chance to WIN up to R20 000 in prizes. Competition valid from 5 January - 16 February 2019. Ts & Cs apply!